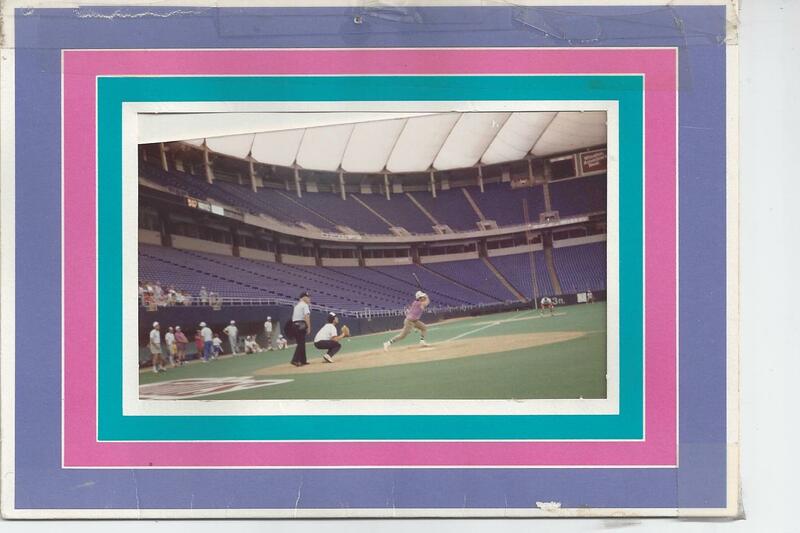 After law school I returned to Minnesota in time for the opening of The Hubert H. Humphrey MetroDome. My friend Rocky, always the entrepreneur, had tee shirts printed saying “I opened the Dome” and had me and his eleven year-old nephew Danny hawking them the first Saturday in April, 1982. It was an exhibition game with the Cincinnati Reds, the first game ever in the Dome. Good thing the game was going to be played indoors because it was a bone-chilling 10 degrees outside. So I say to Danny, “We got tickets, let’s go inside to sell these shirts.” We hadn’t even sold one shirt when the gendarmes busted us for selling without a license. Me and Danny were the first ever locked up in the MetroDome jail. 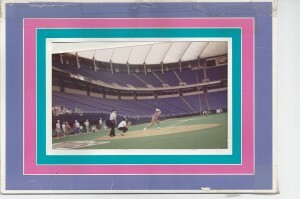 Yes, there’s a jail in the MetroDome. And yes, they apparently had no qualms locking up an 11 year-old. I never imagined a ballpark would have a jail, with real bars and everything, but there we were. Whenever a cop would come by I’d yell, “Hey, we’ve got tickets!” Finally around the 3rd Inning a sergeant let us out and we found our seats. Later I learned the downtown precinct passed the shirts around.